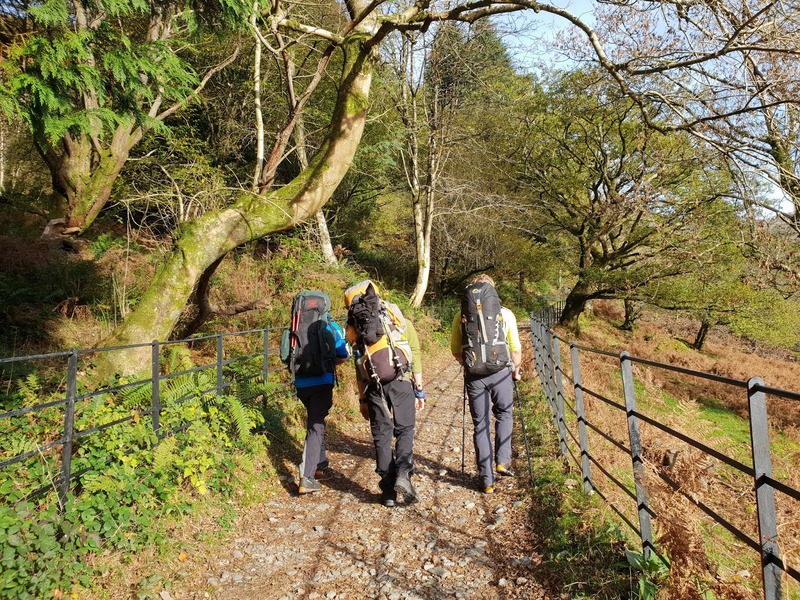 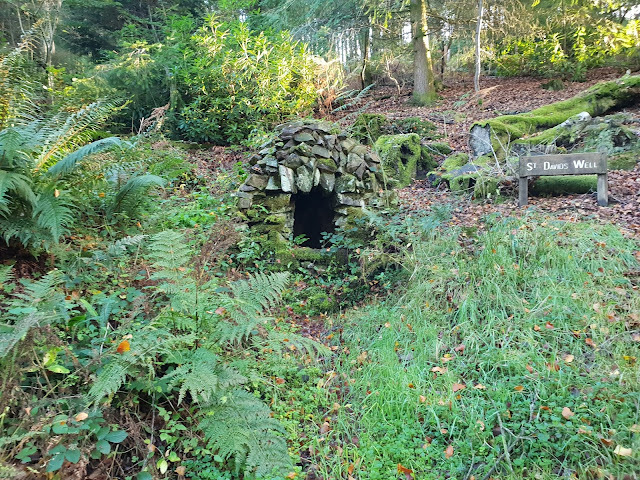 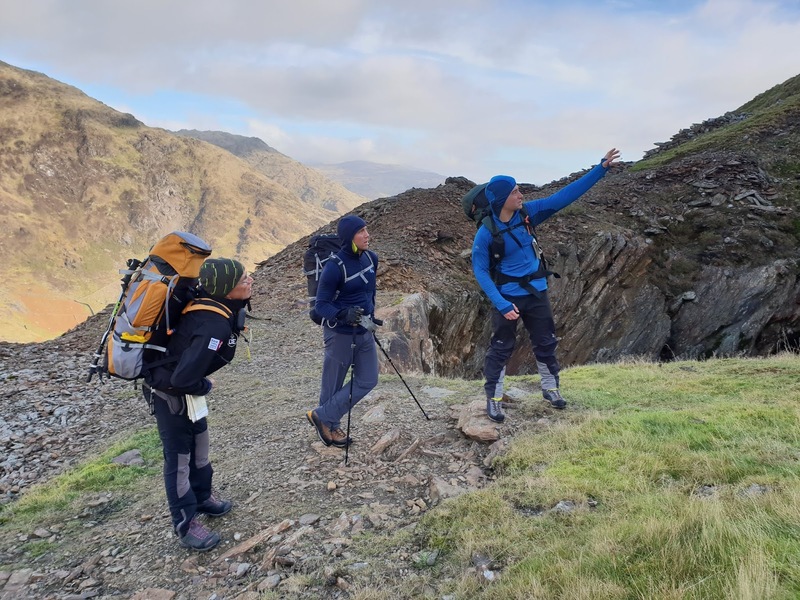 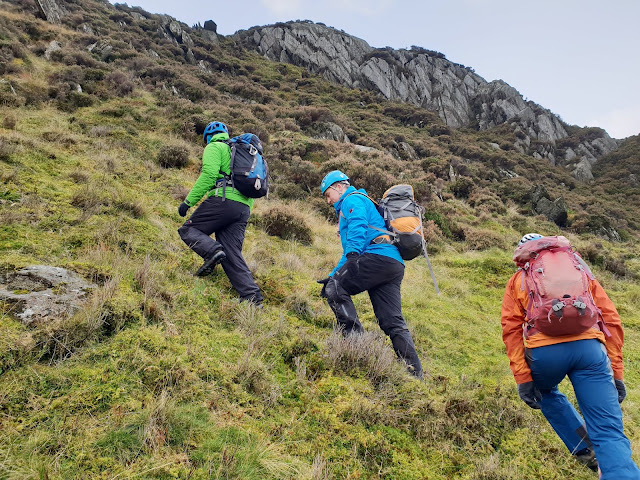 Having sent the Mountain Leader assessment candidates out with Stu on expedition, today I was out with the Mountain Leader Training course looking at group management in steep ground in The Ogwyn Valley. 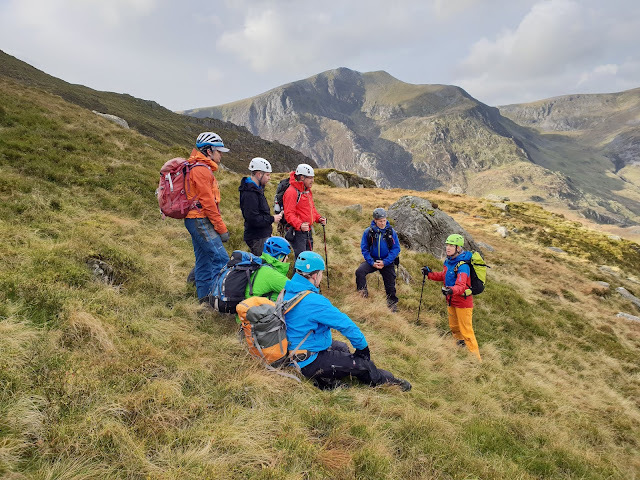 Fantastic to have Sam Leary along for a bit of peer idea sharing during the day. 6 candidates all keen to learn how to manage groups when the off the path and in difficult terrain. 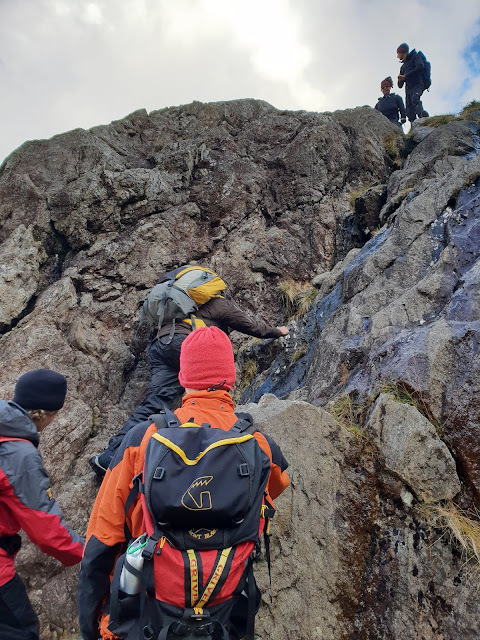 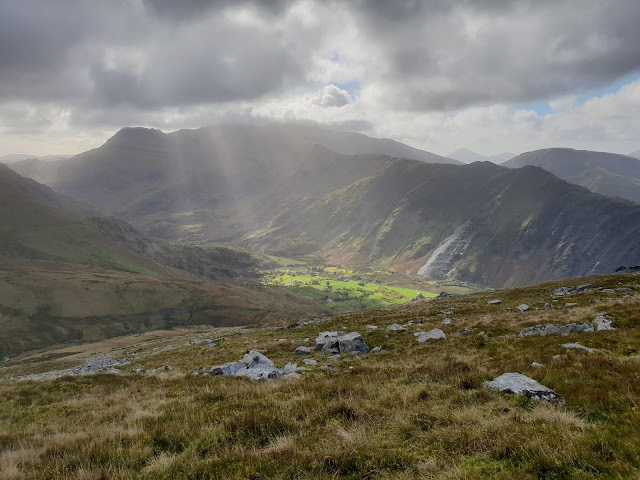 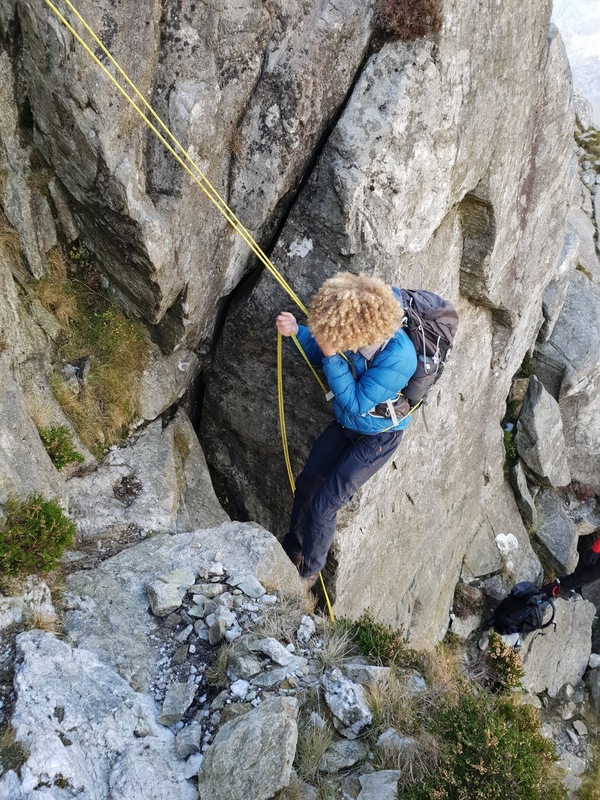 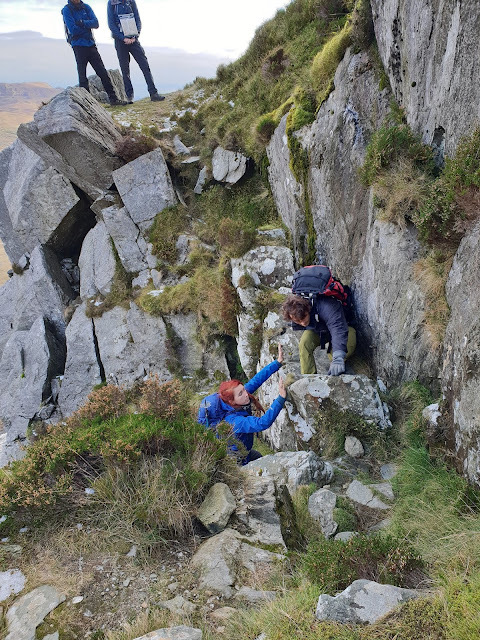 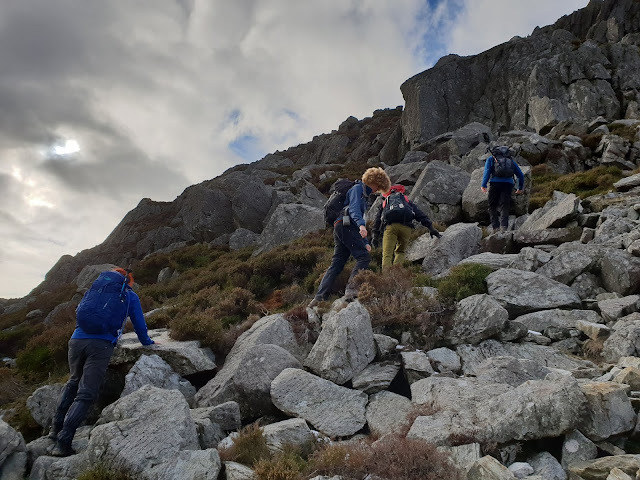 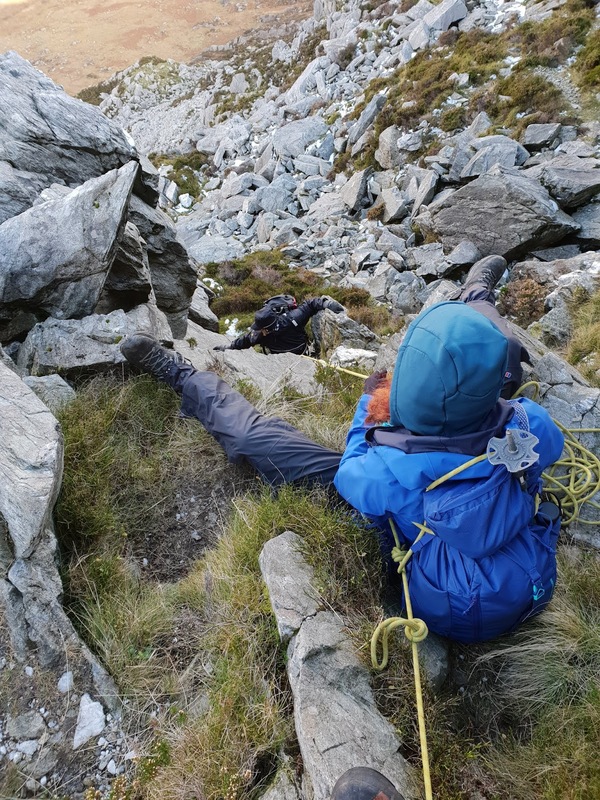 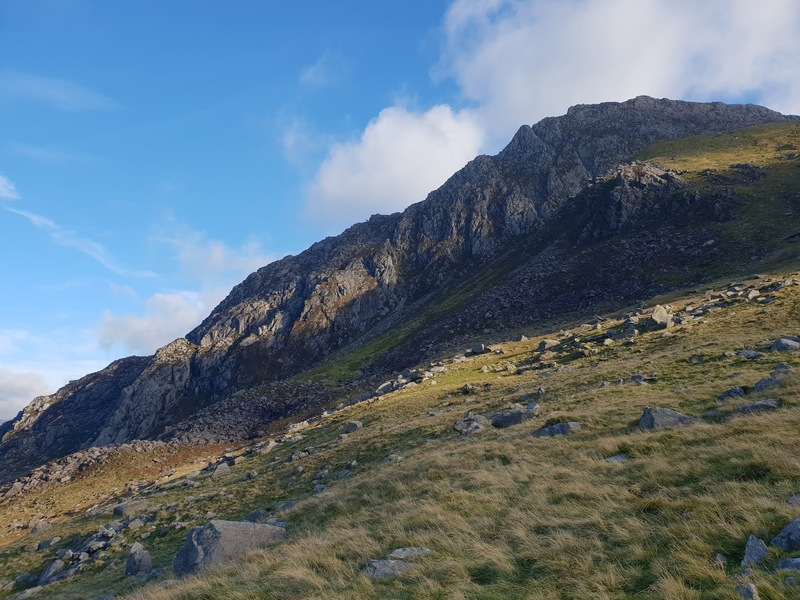 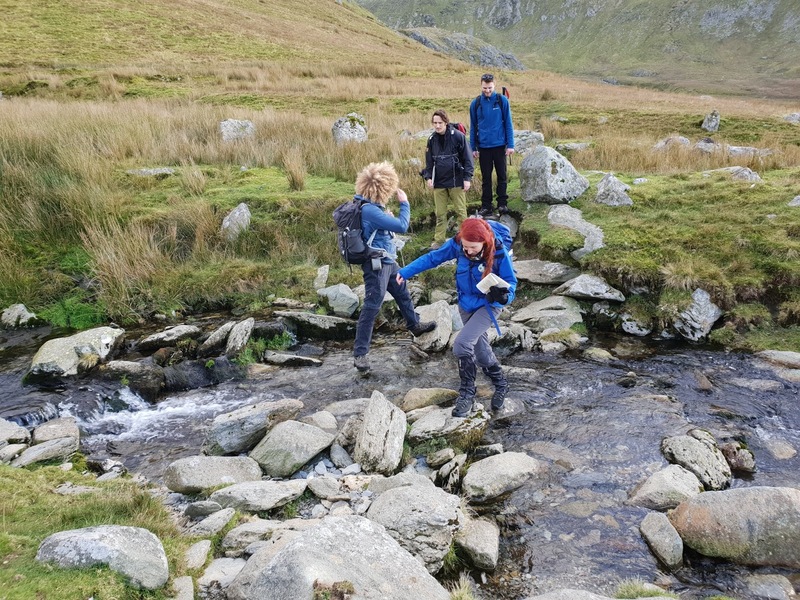 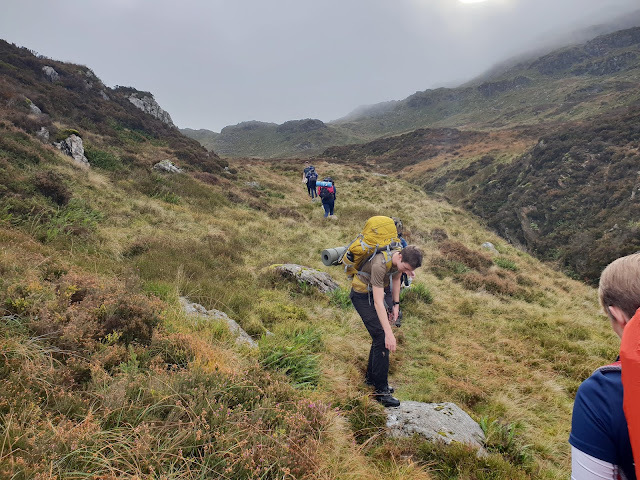 On the second day of the Mountain Leader Assessment I am directing for Wet and High Adventures Ltd we headed to the steep ground of Tryfan to look at managing groups with and without a rope. 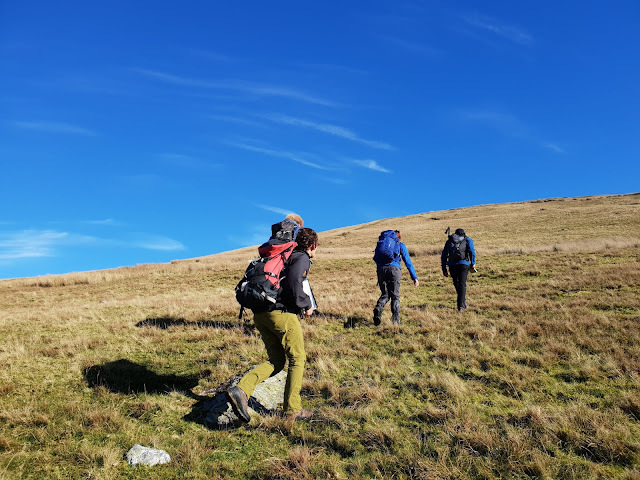 Today was the first day of a Mountain Leader Assessment I am directing for Wet and High Adventures Ltd. Another stunning day in Snowdonia up on The Carneddau with clear views. 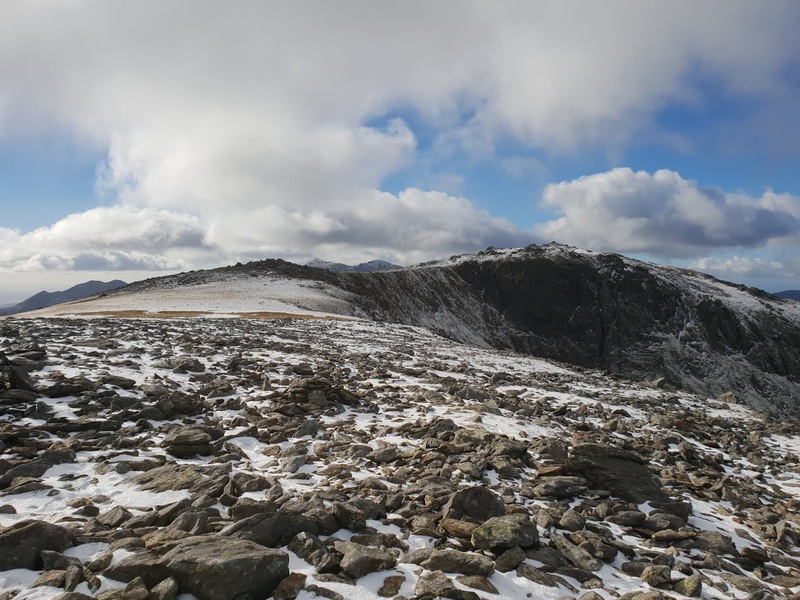 Bitterly cold up high even though we stayed below the snowline, we still saw some patches of ice. What a day in the hills. 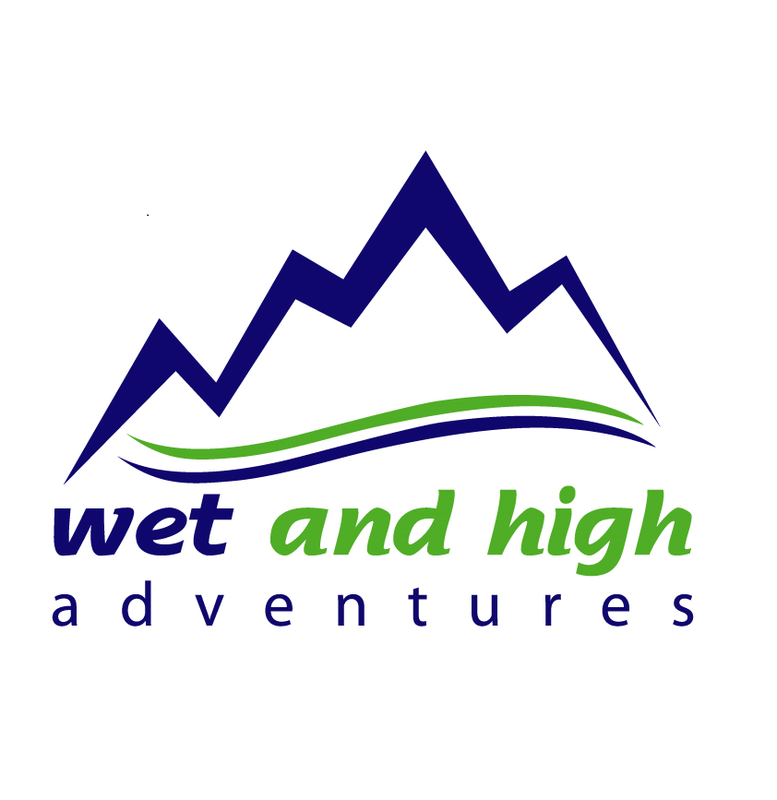 Just awesome! 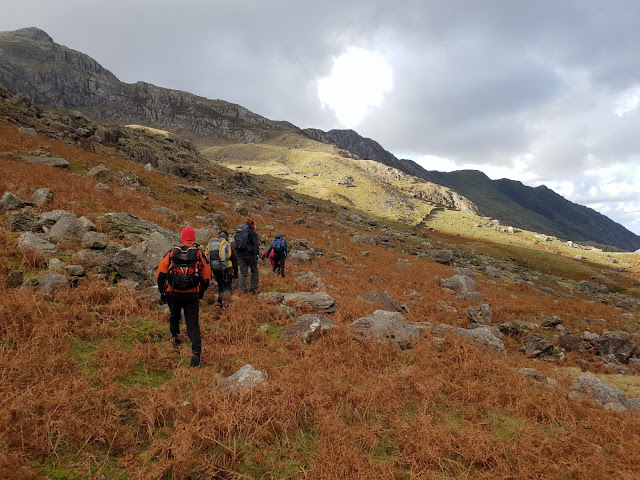 Back out on the hills today but with a group on a Mountain Skills course that I am directing for Wet and High Adventures Ltd.
After a few hours in the warm looking at weather forecasts and equipment, we headed out into Llanberis Pass and up to Llyn Glas to have a look at navigation, some plants and how to hide from the cold biting wind. 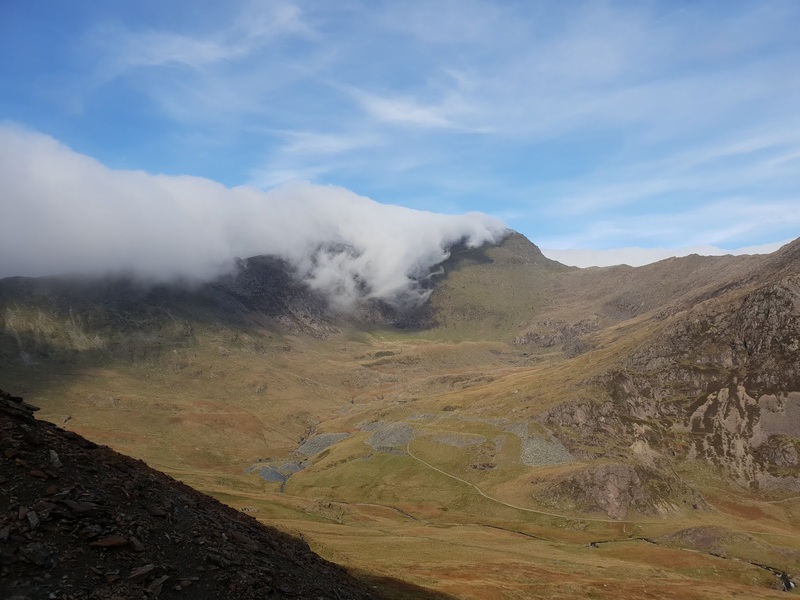 Some pretty impressive clouds today pouring over the south ridge of Snowdon and whilst the pass was in cloud, round on the Watkin path is was blue skies and sunshine. 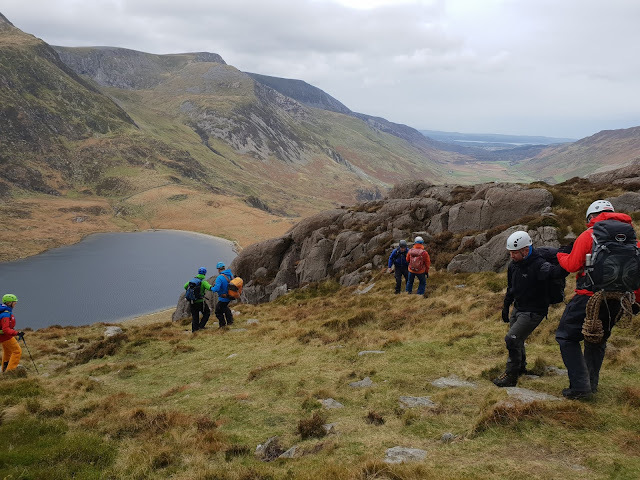 Another great day working for Wet and High Adventures Ltd.
Out and about on Elidir Fawr and Y Garn today for the first day of a Mountain Leader assessment I am directing for Wet and High Adventures Ltd. 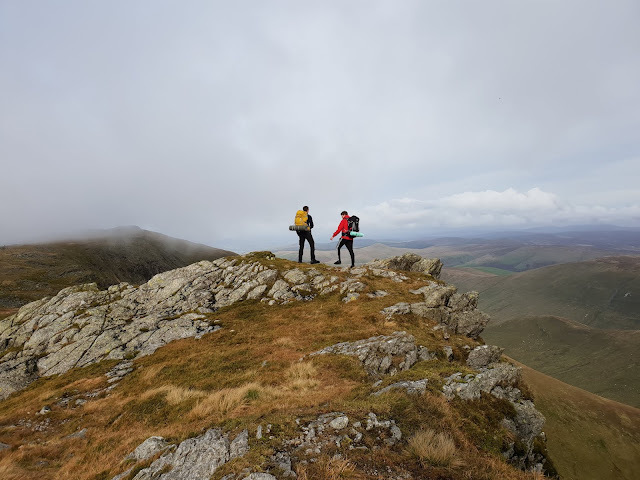 Chilly but amazing visibility and lots seen on our route. Was good to see 4 farmers and 8 dogs working the sheep down from the hillside. 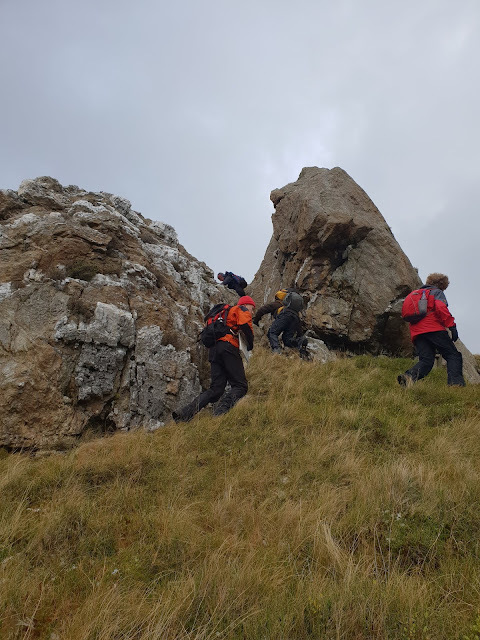 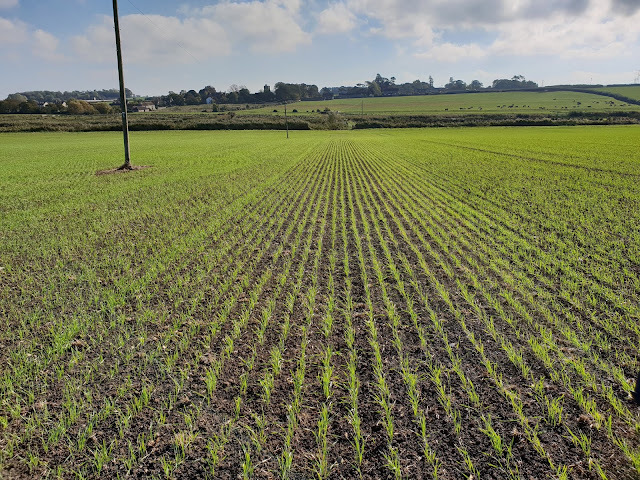 On the second day of the Lowland Leader Training I am directing for Wet and High Adventures we headed to Steart Marshes and the coast to experience different terrain. Hazards were very real today with an electric fence across the path and a herd of boisterous cows on another one. 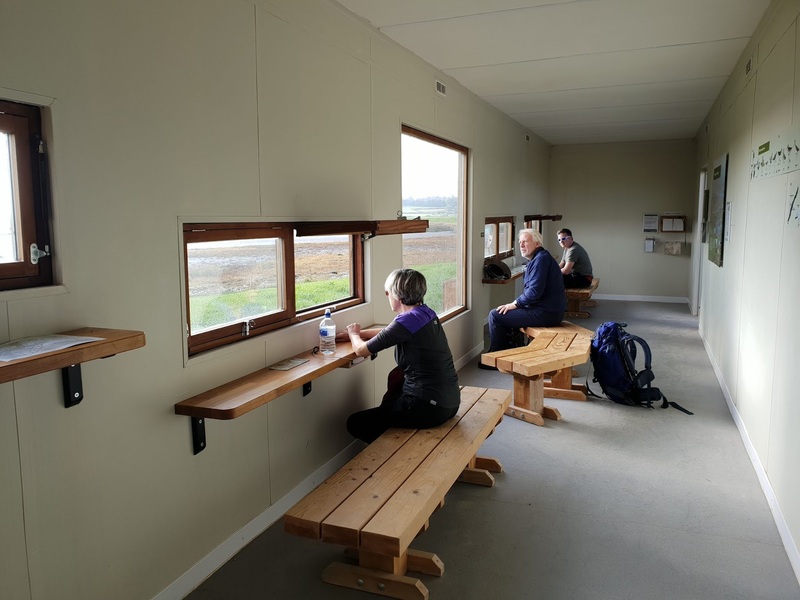 Sadly a lot of the birds have now left the wetland are to head to warmer climate but we did see some Deer and a number of Lapwings. 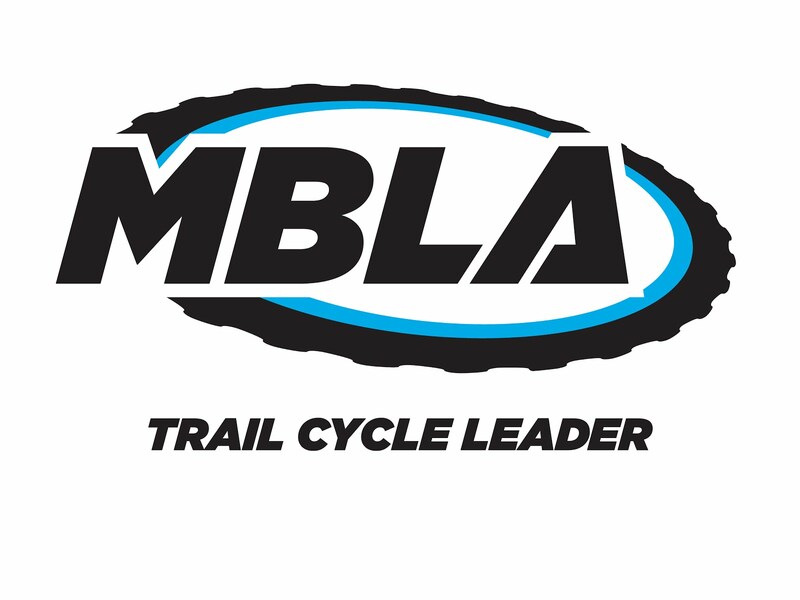 I am on the road tonight back upto North Wales to run a number of Mountain based courses. 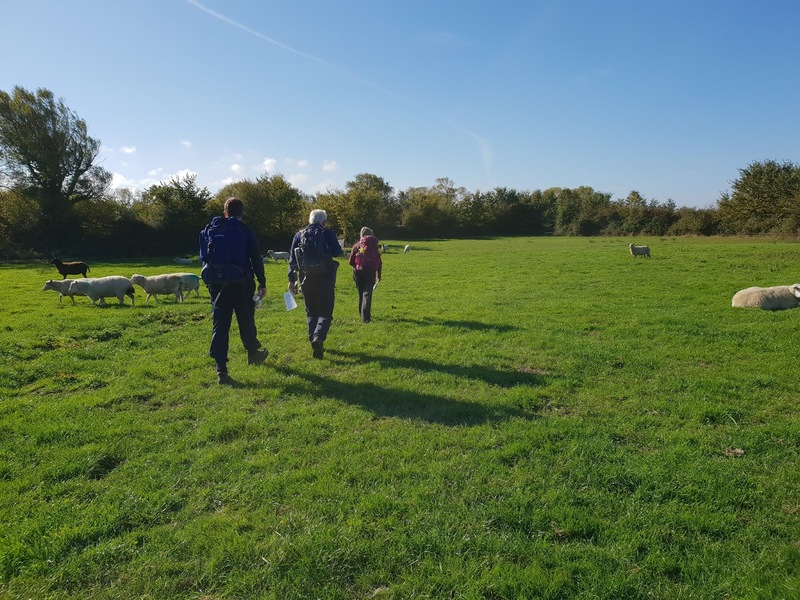 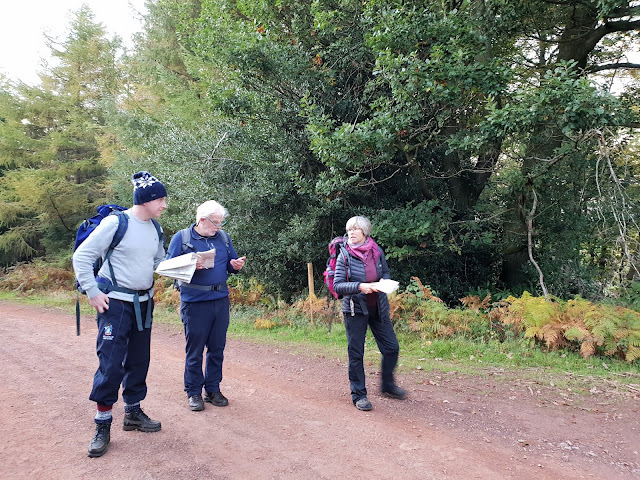 After a journey back south yesterday, I was out on The Quantock Hills directing the first day of a Lowland Leader Training course for Wet and High Adventures Ltd.
What a day, low wind and blue skies. 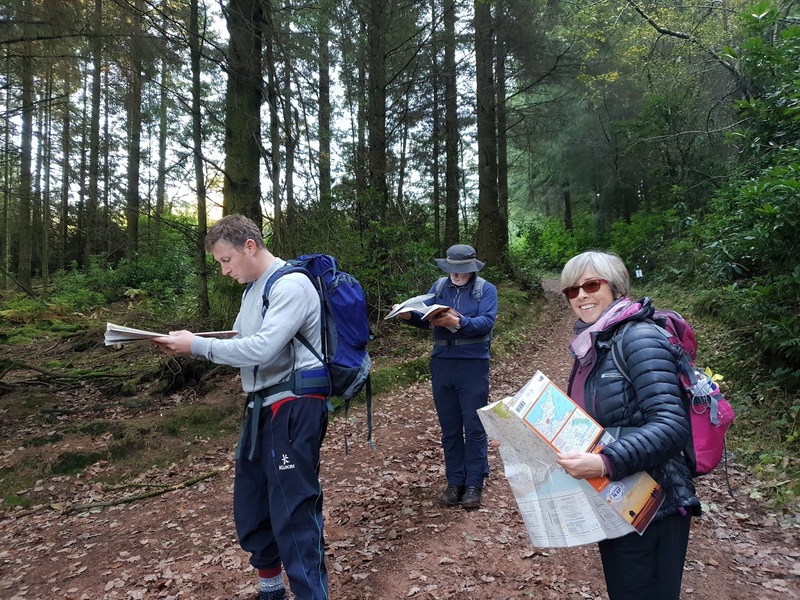 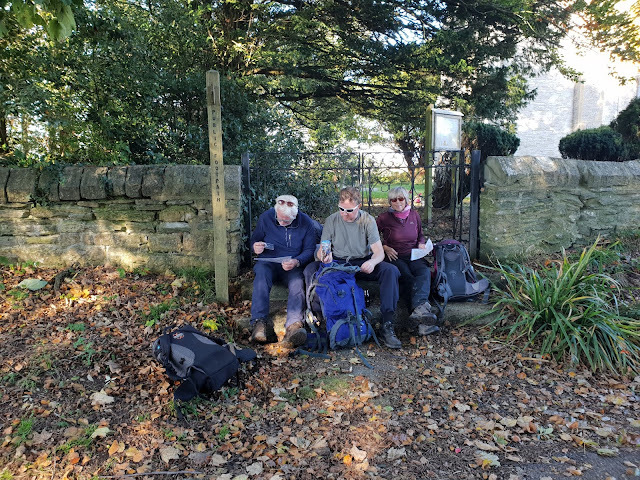 After a few hours in the classroom we headed up onto the hills to practice navigation and enjoy the perfect October weather. 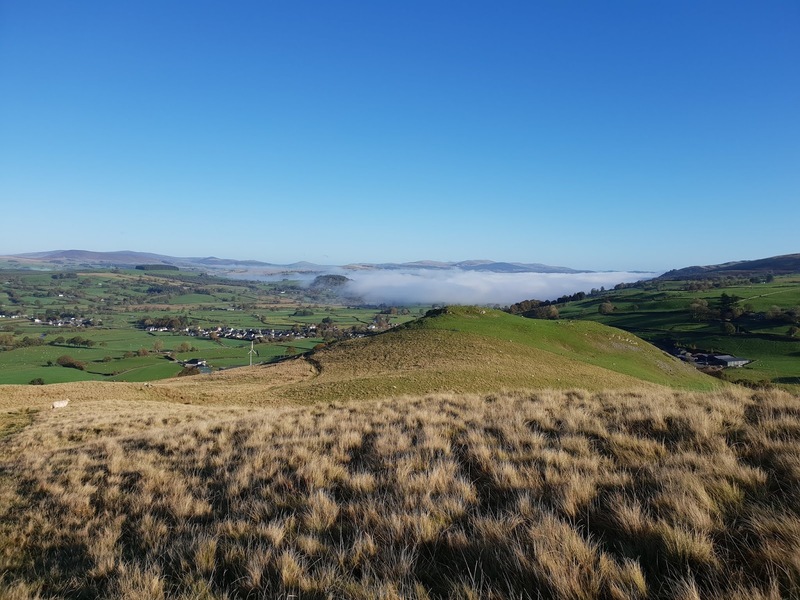 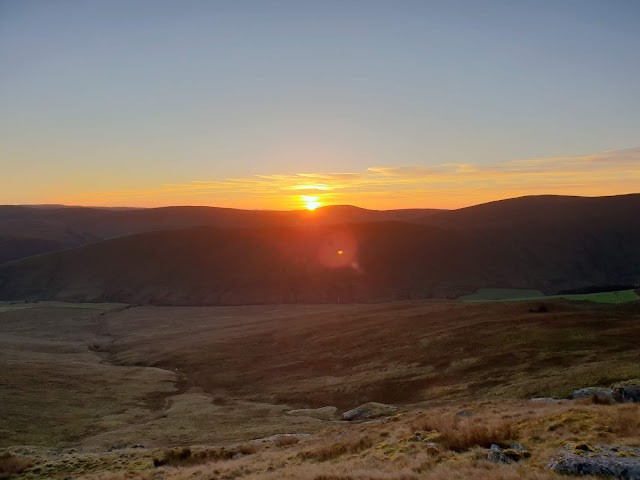 A busy day for Bridgwater and Taunton College students today as after an overnight camp at the base of the Aran ridge, we woke early to a sunrise over the hills before returning to Glan Llyn for lunch. 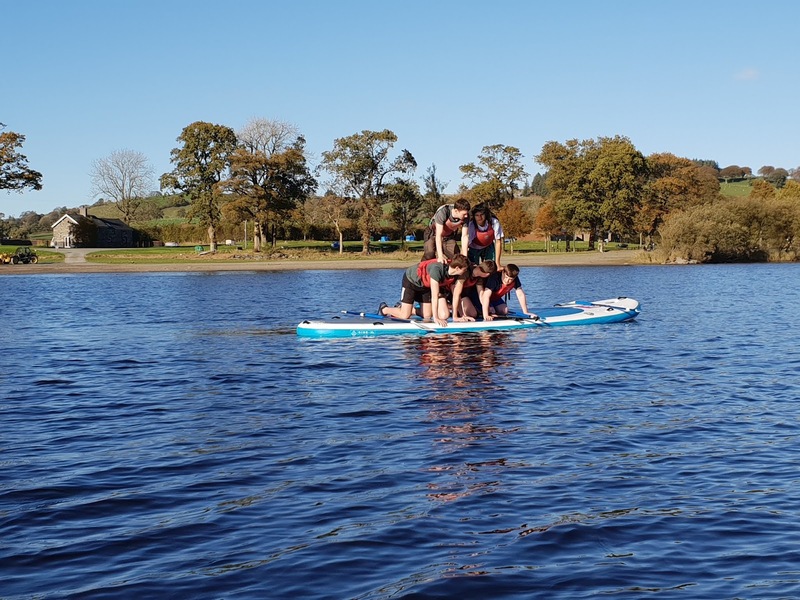 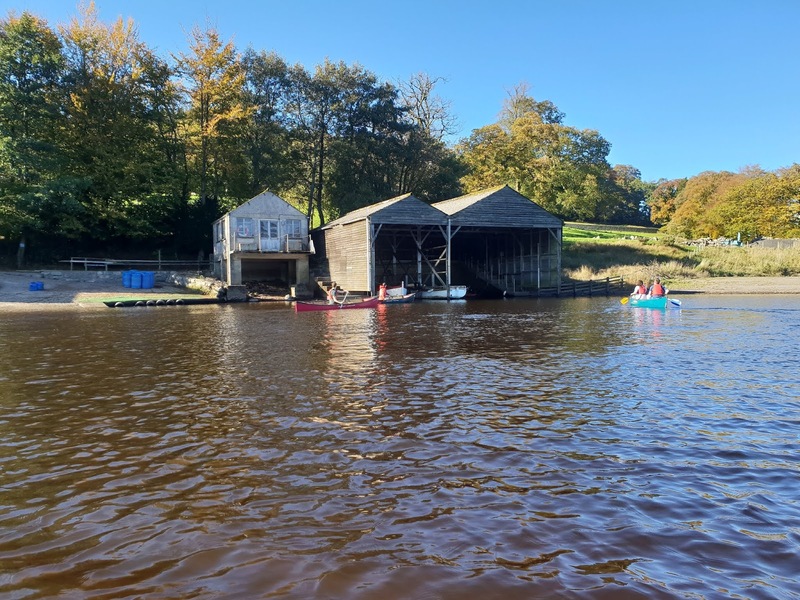 During the afternoon, they undertook some Canoe orienteering and then had fun on a Giant SUP followed by some bowling. 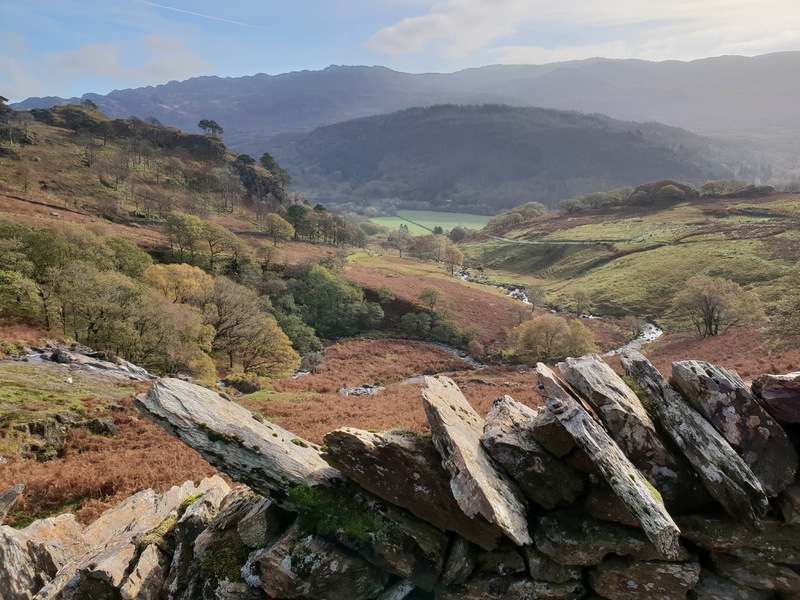 Sadly that nearly ends our week here in southern Snowdonia. 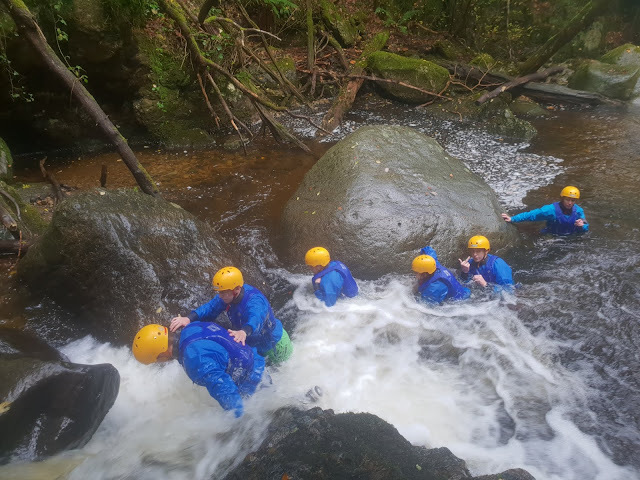 All we have left is a short High Ropes session tomorrow morning before driving back down to the college. 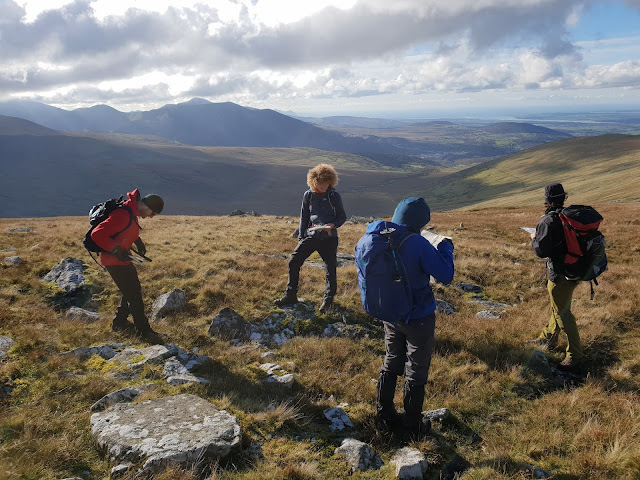 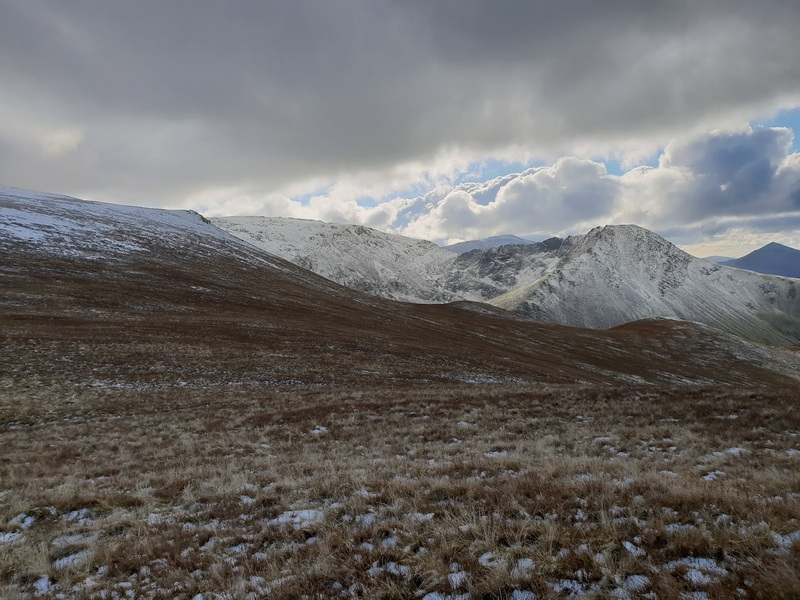 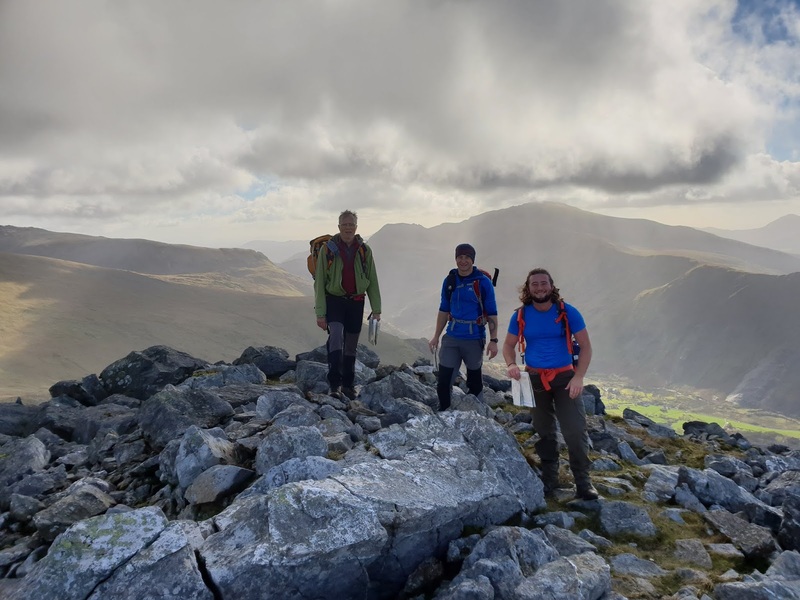 On the second day of the Mountain Skills course for Bridgwater and Taunton College students we were up on Aran Fawddwy enjoying the views across the valley. 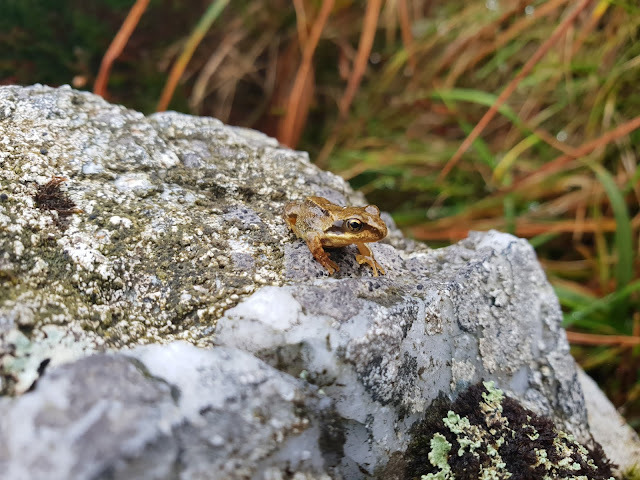 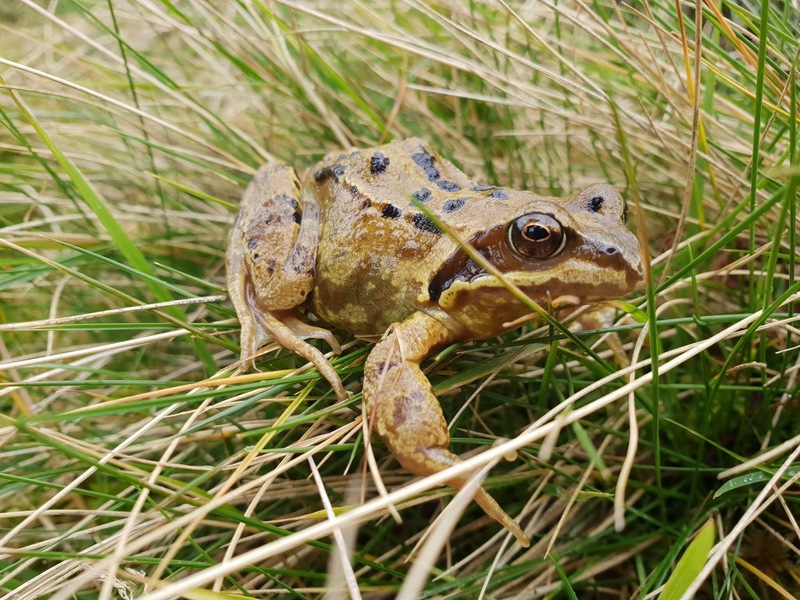 Lots covered today with Navigation being the main skill but with lots of other topics such as the flora and fauna (small frog pic 2). 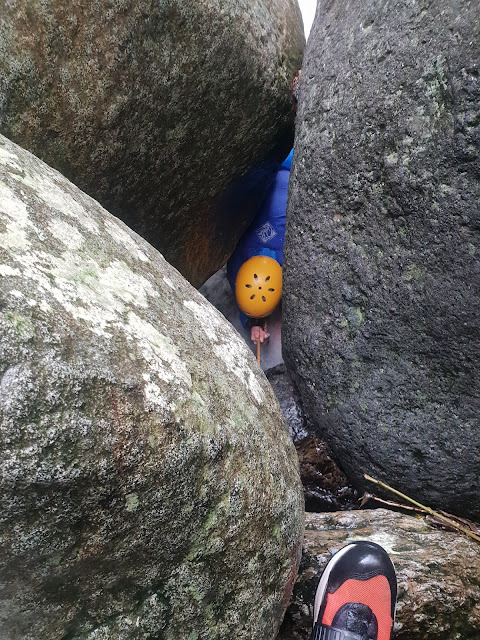 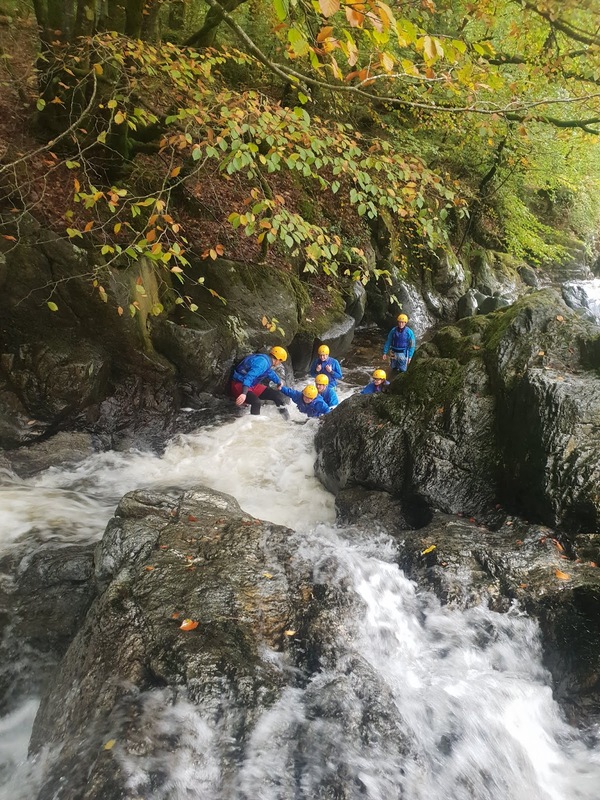 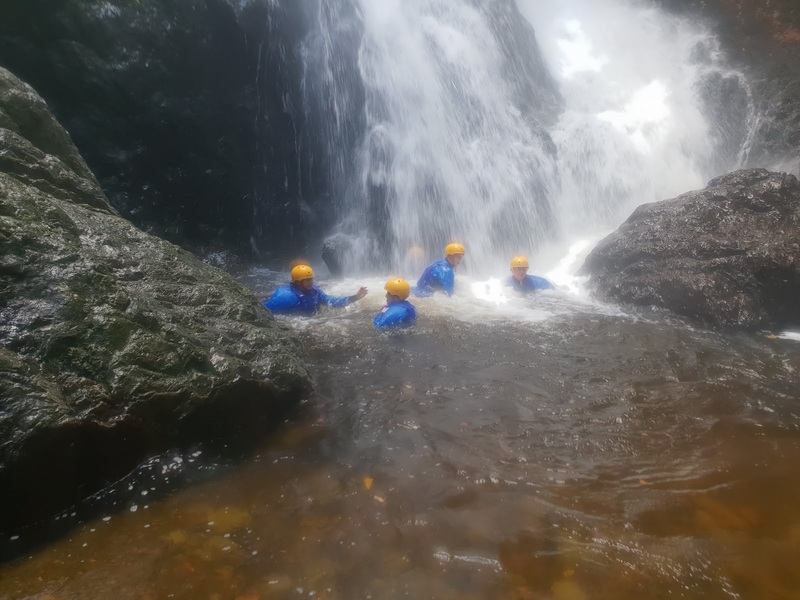 Nice levels to give enough challenge but also to allow us to tackle all of the main features in the gorge meaning we had the full Wet and High Adventure experience. 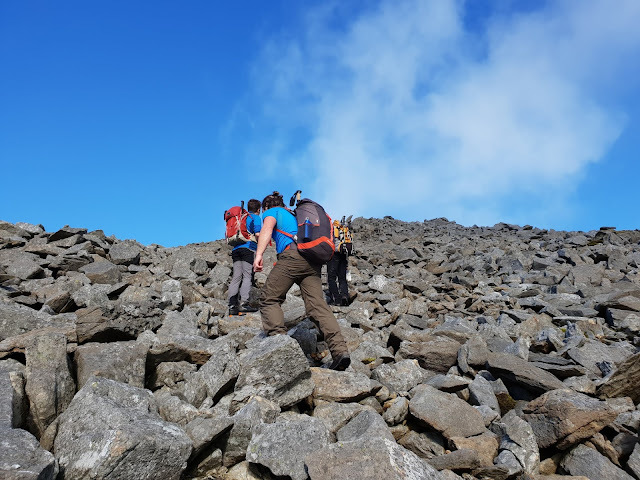 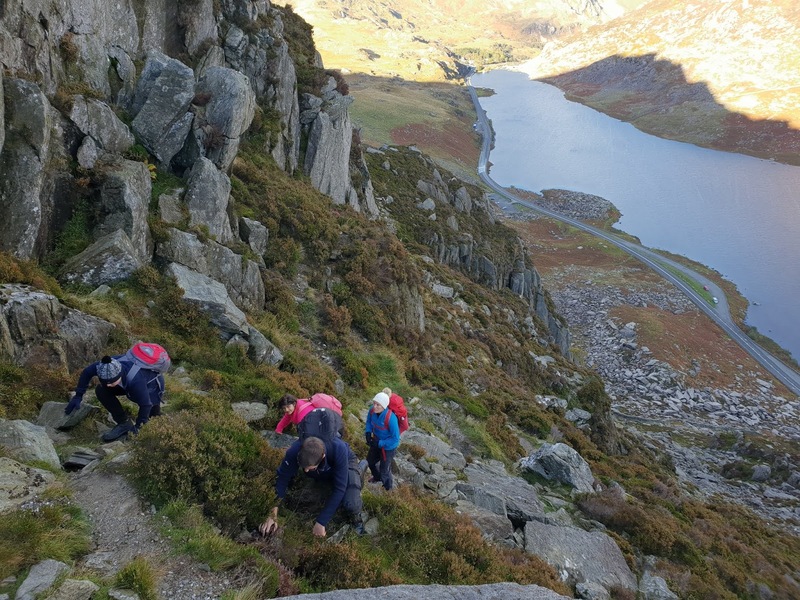 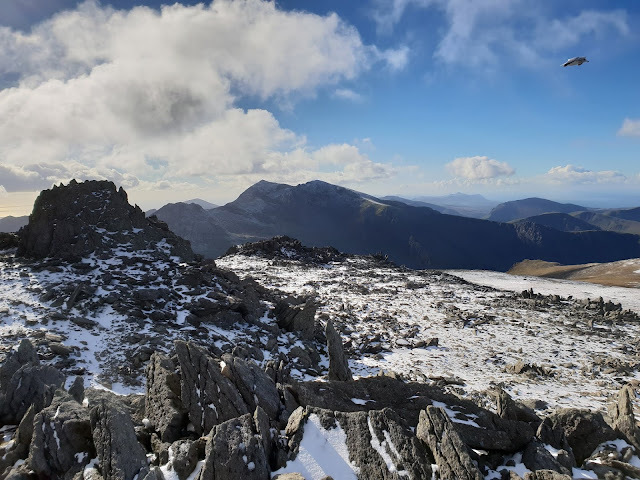 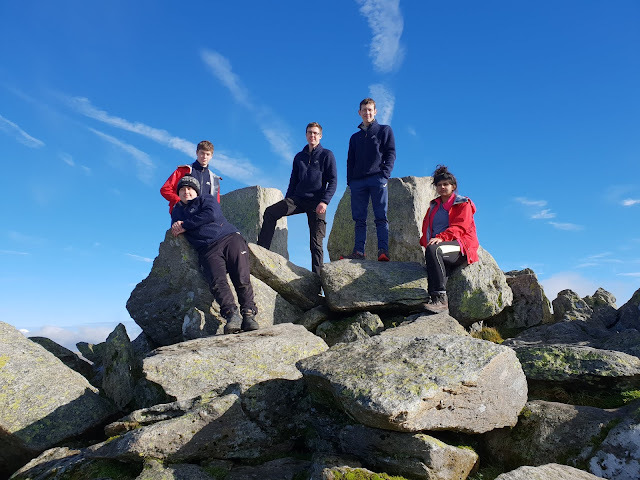 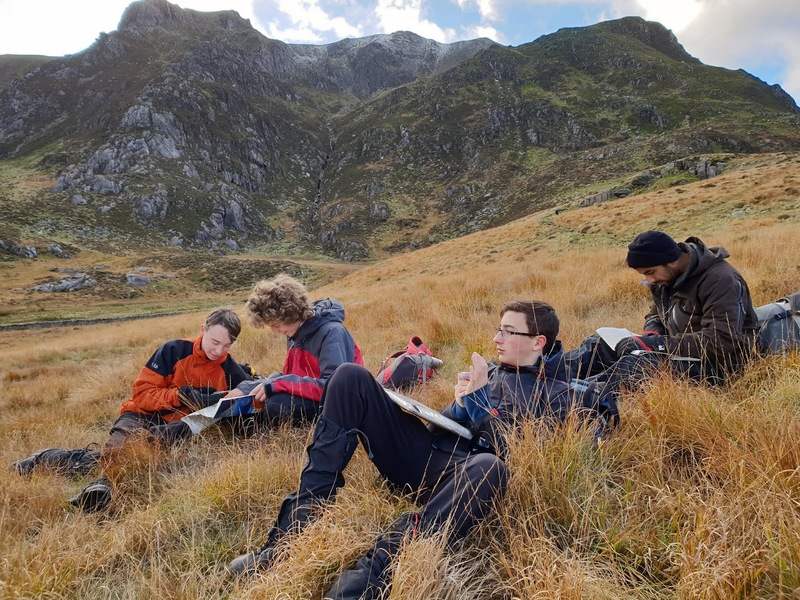 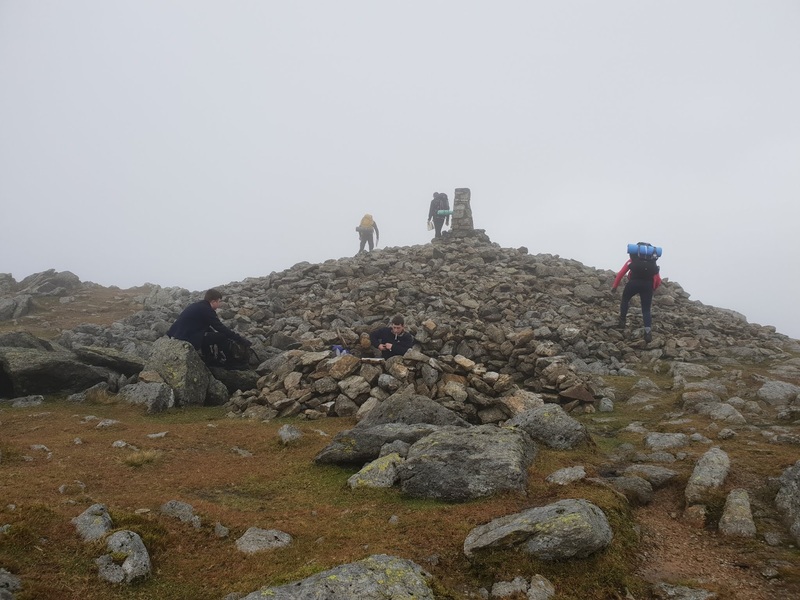 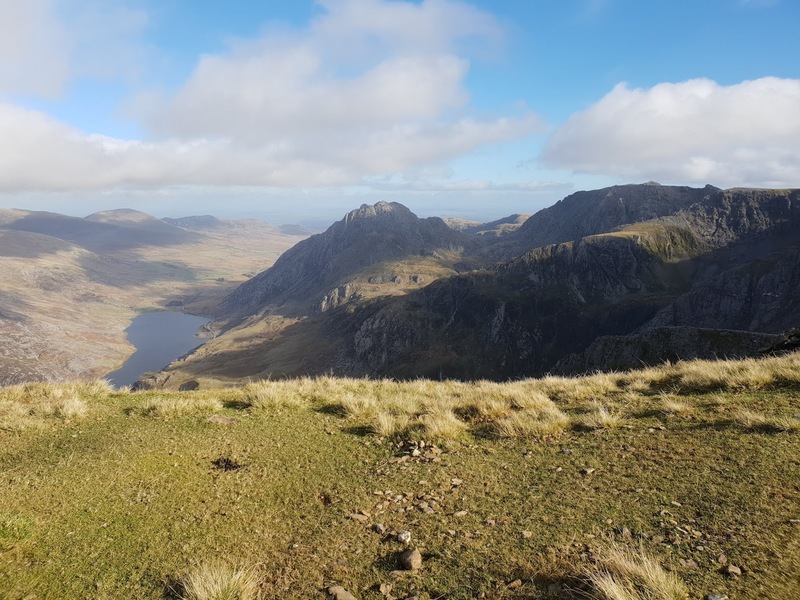 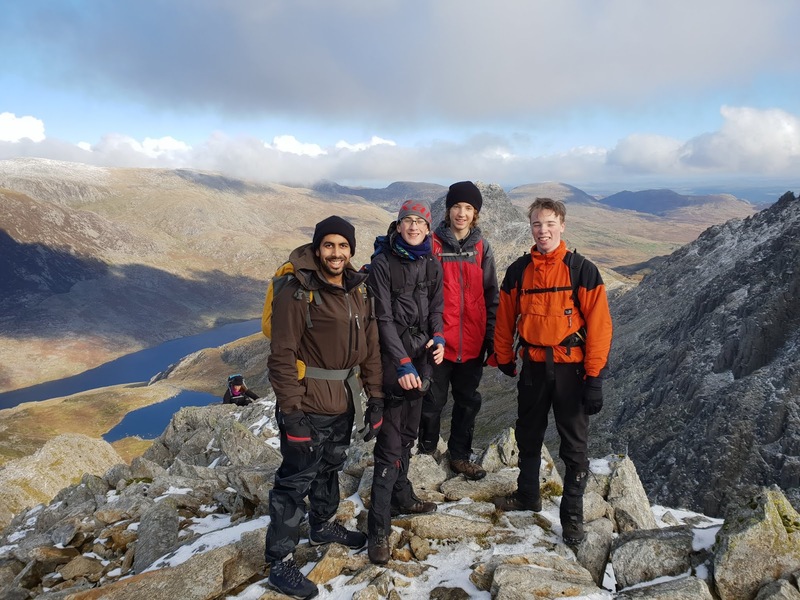 With a forecast of a blue sky low wind day, it was North Ridge of Tryfan for the first day of Mountain Skills course from Bridgwater and Taunton College Outdoor Education students who are on a residential up in Snowdonia. Well what a day it turn out to be. 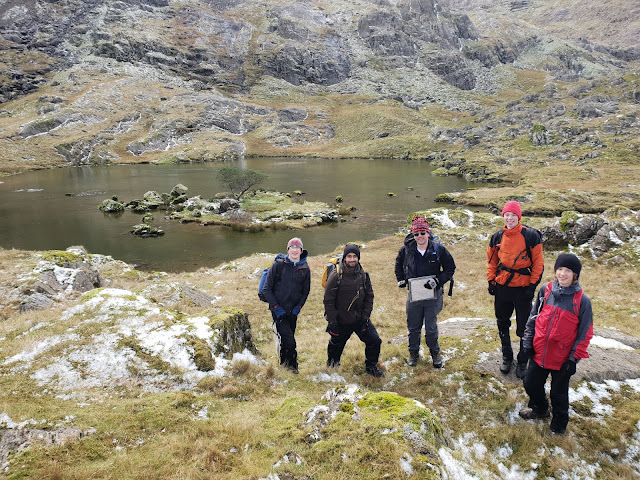 As nice as forecast and the group enjoyed a day in the mountains. 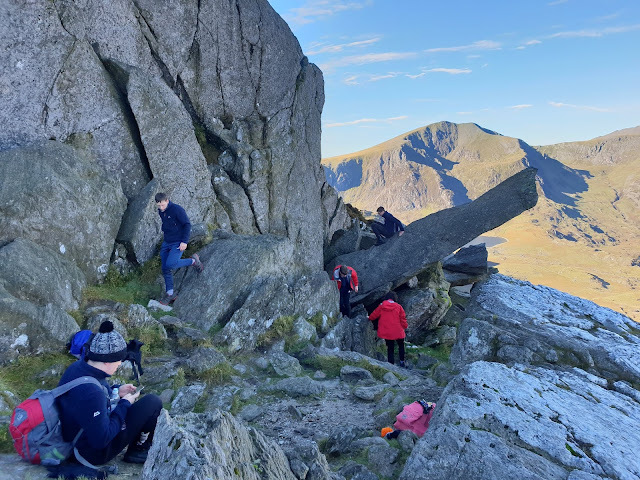 This is a first for some of the students and certainly the hardest climb for most of them.